While calling for different spirits, people often think about the benefits that they can get from them, but rarely anyone thinks about how one can thank the spirit for its help, support and interaction in general. This is a mistake, as when working with spirits, do not forget that they are representatives of the other world, and sometimes they may be unhappy with the fact that they are disturbed. In order to appease the spirit summoned by you, in order to show your disposition towards him and to thank for the help and support provided, we offer you to purchase special Spirit Offerings in our store. For different spirits, we carry different Spirit Offerings Kits; you can buy here a set for spirits of angels, vampires, gargoyles, nymphos, and others. 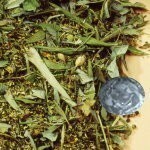 This kit includes several items: their favorite herbs and amulet of their favorite color. Such a set will be considered as your gift to them, which will undoubtedly affect your interaction: your connection with them will become even stronger, and they will be more willing to communicate with you because the herbs and amulet will give them real happiness.